This was one of the ‘unnamed titles’ for Gamescom with the big reveal (at least on the publishing side) of the game being at the event. So going in I didn’t know what to expect. The last Iceberg game I reviewed was a 4x RTS game and the other game I was seeing from Iceberg was a indie horror investigative game set in Cornwall. 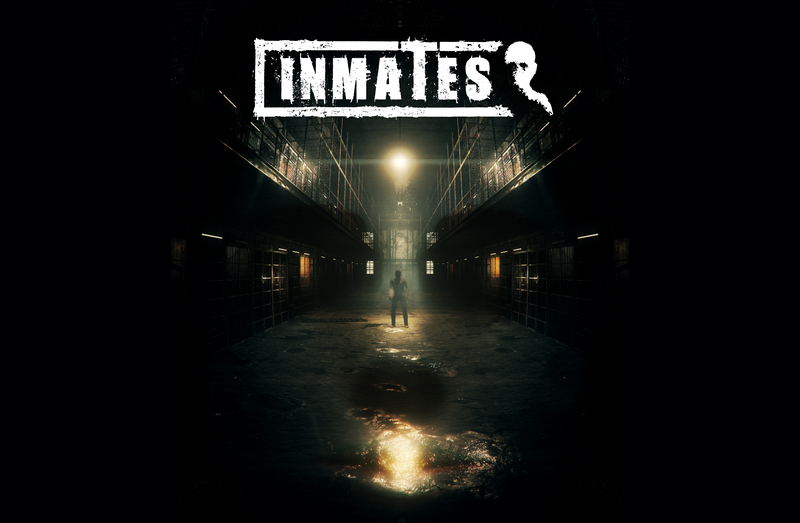 “Inmates” follows Jonathan as he movies through a prison seeing moments of his past, ghosts and all of the usual horror things. 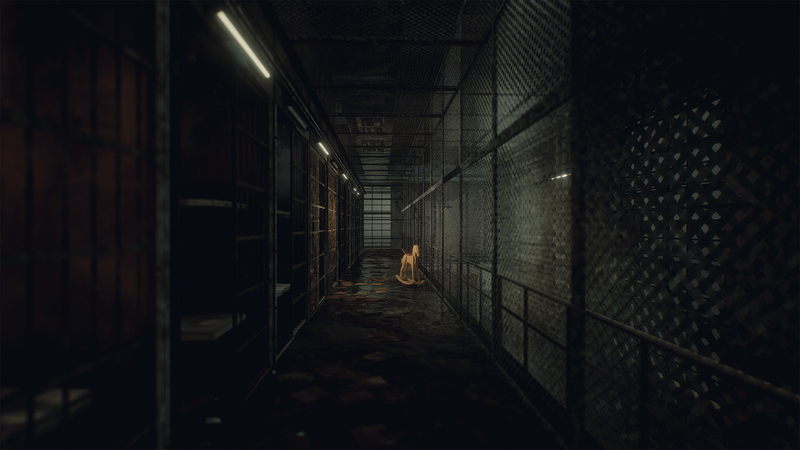 The visual style of the game is the usual horror imagery and is dependent on darkness. Not for jump scares but for navigation. The core mechanic is exploration (hence the ‘Silent Hill’ inspiration) and the way you light your way is through is with matches you find that have a relatively short life span. It’s an interesting way of controlling and leading exploration. Avoided is the trope of wondering around dark corridors with a torch. You’ll actually be able to see the scary things that are there to scare you, which seems to be the flickering humans of half-remembered memories. It doesn’t force exploration though as the path forward is effectively liner and you won’t be swinging a punch through the whole game. The setting that was shown in the demo was a prison area, most likely the introduction or a part of it. It had that ‘Silent Hill other world’ sort of vibe. But one thing that the game doesn’t take from ‘Silent Hill’ is the dual world mechanic. With the main plot being about the psyche of Jonathan it seems that the whole ‘what is real and what isn’t’ part of the game is kept simple for the sake of conciseness. That might be for the best in the end. Only a few weeks ago I said that ‘Silent Hill’ plots can get a tad complicated for newcomers. A lot of the game is built on that ‘generic horror’ base but one thing that the game has is that it’s built well. I don’t just mean that as it looks good (as the ‘built in Unreal’ line is an advertising point,) but the horror elements are considered, it’s not over-long (with the press release saying it’s around 3-5 hours long) and the puzzles make sense in the setting. It would be really easy just to phone in a horror game (as many do) and just pack it with jump-scares and call it a day. But here the setting is the dressing to the horror elements and the story is what ties it all together. There’s not much else to say about “Inmates”. Things like the story was purposefully head back in the presentation so as to not cause spoilers as things like this article. As it’s a short, story lead game I can agree with that. What was shown to me was a solid, clearly set out game built well. Because of that I don’t want my comments calling it ‘generic’ to be considered a bad thing. ‘Generic’ is not the same as bad or not being effective in it’s scary/horror elements. It’s just a setting that people have probably seen before. But with an exploration lead, avoidance over combat and a concise story it has all the elements to make a very good game. To cycle it back to the start of this article, the ‘PT/Silent Hills’ demo was somewhat generic but it was built and designed well. This seems the same as that. Somewhat generic, but well built and designed. There is no current release date but I am interested to see how this game turns out. Could be seeing the start of a new renowned horror developer as Andreasyan really does seem like he knows his stuff.